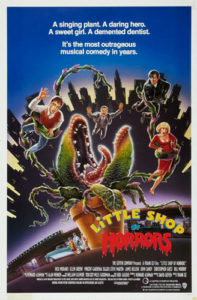 A musical horror comedy that surfaced as a necessary answer to the 1980s sci-fi boom in the United States, ‘Little Shop of Horrors’ underperformed at the Box Office but has become a cult classic on video and DVD. The movie is set in the 1960s and makes fun of its contemporary culture as we so proudly do now with the culture of the 80s and 90s. What makes this movie so fun to watch is that its – as simple as possible – just extremely ridiculous, but in a good way! Muppet-man Frank Oz based the movie on Howard Ashman’s theatre musical ‘Little Shop of Horrors’, which was in turn based on the 1960 film ‘The Little Shop of Horrors’ – yes, that’s right, it still had uncool ‘the’ attached to it, something producers seem to think is Box Office-poison in the 21st century. Either way, this movie was made as a parody on the sci-fi craziness which spawned the now still-not-grown-up Star Wars-fans. It would take more than a decade for the genre to recover – which happened mostly thanks Hollywood’s SFX-departments – but ‘Little Shop of Horrors’ excels in something almost every movie in these Dark Years lacked: fun! The kick-off: a little cheating, since ‘Ruby Sparks’ is still a young kitten in the movie-litterbox, but its well worth a recommendation. The 2000s saw a growth in “loveable quirky hipster movies” such as ‘Garden State’(2004), ‘(500) Days of Summer’ (2009) and ‘Daydream Nation’ (2010). The large part of those movies turned out to be neither quirky, nor loveable. Remember ‘Kaboom’ (2010)? Of course not. 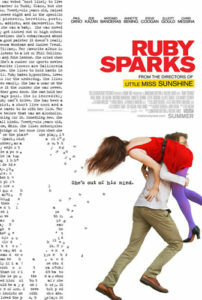 Ruby Sparks succeeds in the areas where most “quirky” movies – just like hipsters themselves – fall short. The movie stars Paul Dano as Calvin Weir-Fields, a writer with writers block. When Calvin’s therapist orders him to write a single page about someone who likes his dog Scotty, he finds new inspiration in his own fantasy: Calvin creates the character of “Ruby Sparks, a 26-year-old painter from Dayton, Ohio.” When his new muse leaves the written page and enters his kitchen, his world is suddenly turned upside down. While staying light of heart, ‘Ruby Sparks’ raises some interesting questions about free will and the boundaries that can be crossed to love and to be loved in return.